TFC is excited to announce the opening of our new disc golf course! The nine basket course was just recently completed and is located in the area known as the floodplains, with the first tee just across the from the footbridge. A special thank you is owed to the numerous alumni whose giving efforts funded the project. We hope all our students, faculty, staff and alumni will take the opportunity to visit the course and enjoy it for themselves. 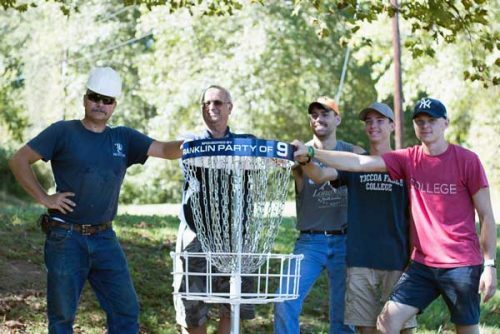 Intramurals will host a disc golf tournament in October. Be on the lookout for more information!